Hello! 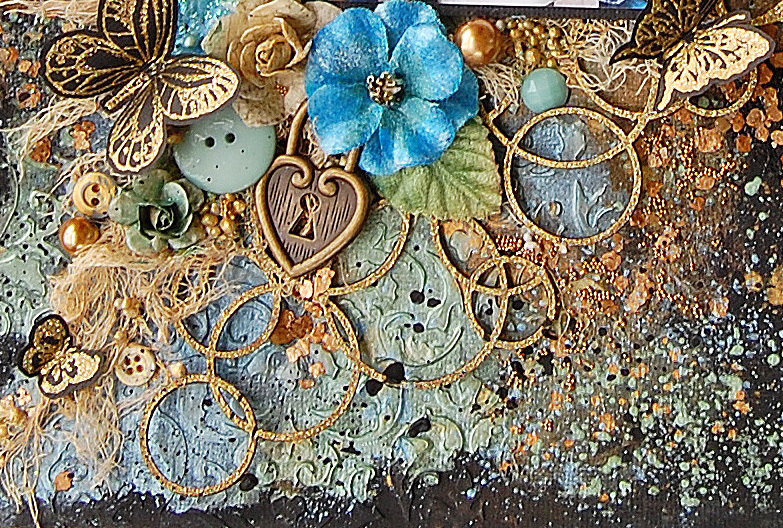 I have to share a mixed media layout today using the fabulous chipboard by Creative Embellishments. This time I get out of my comfort zone playing with a dark background and gold tones but I had a lot of fun and I love the final result! 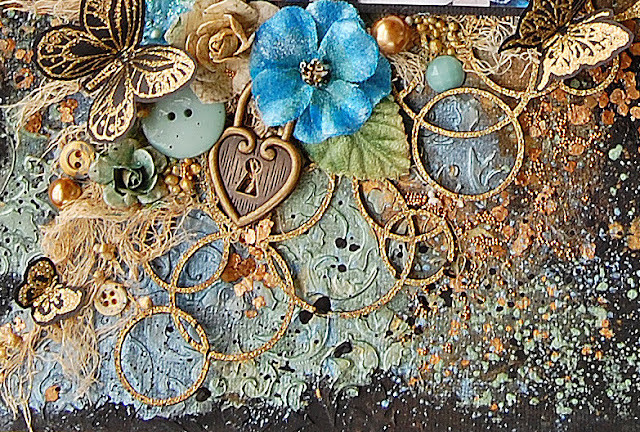 I started applying black gesso over a black cardstock, then I gave textures with a stencil and modeling paste. 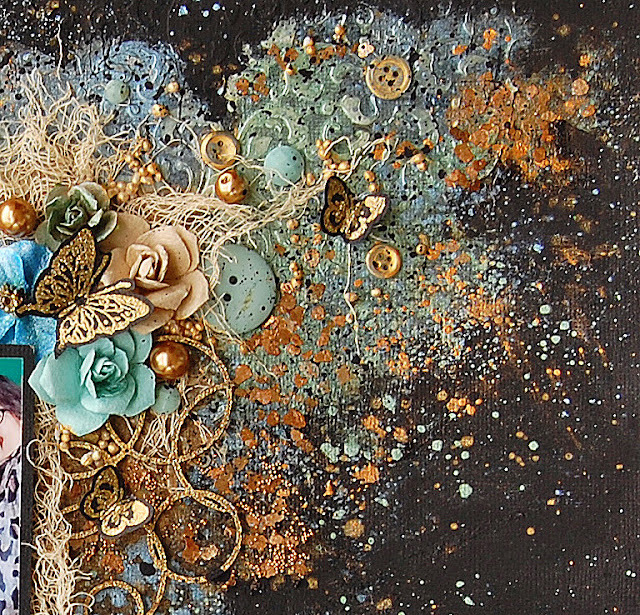 I painted the background with mica powders. 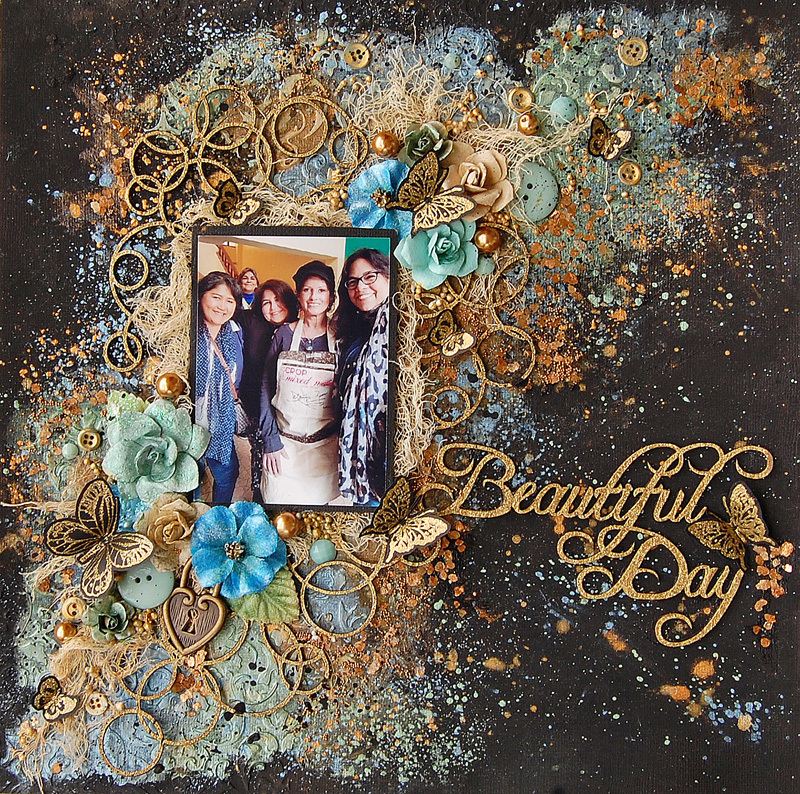 My inspiration to create this page was the title chipboard Beautiful Day that I embossed with a gold color. I used the Circles chipboard to create the design on the background. 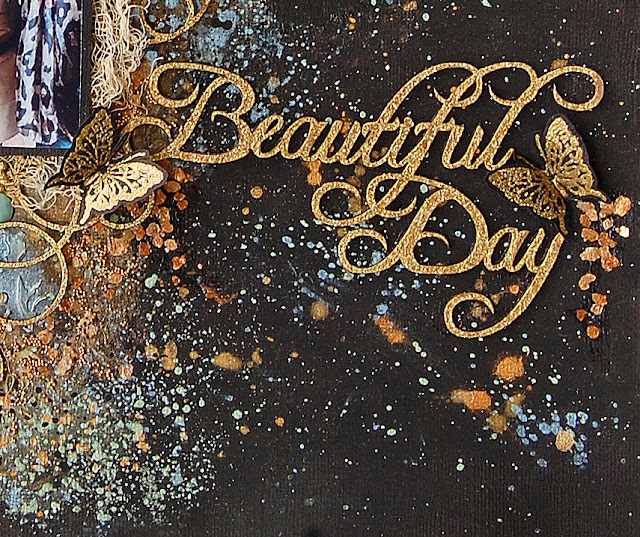 First I embossed it on gold color to create the sparkling effect. Then I cut the circle panel in four pieces and placed them behind and around the photo. 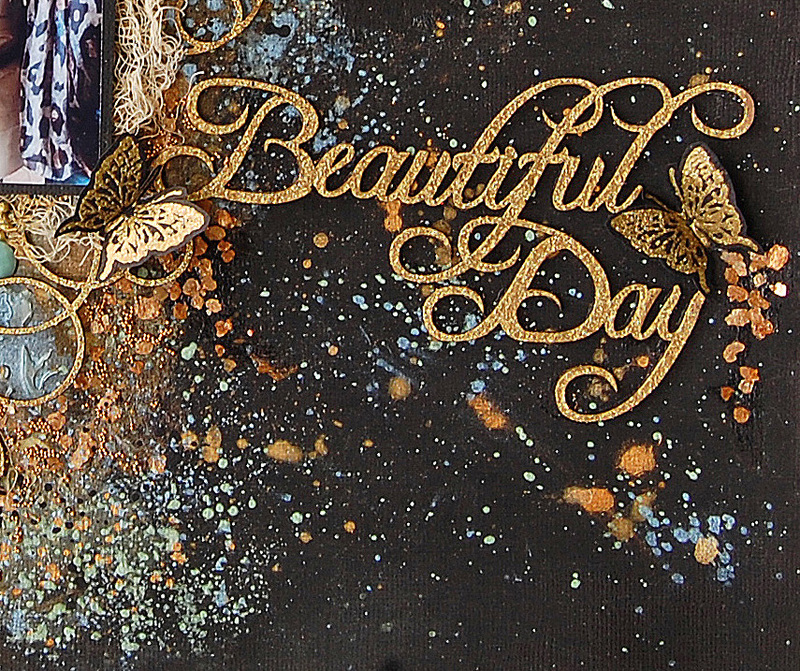 The title looks really nice with the sparkling effect. 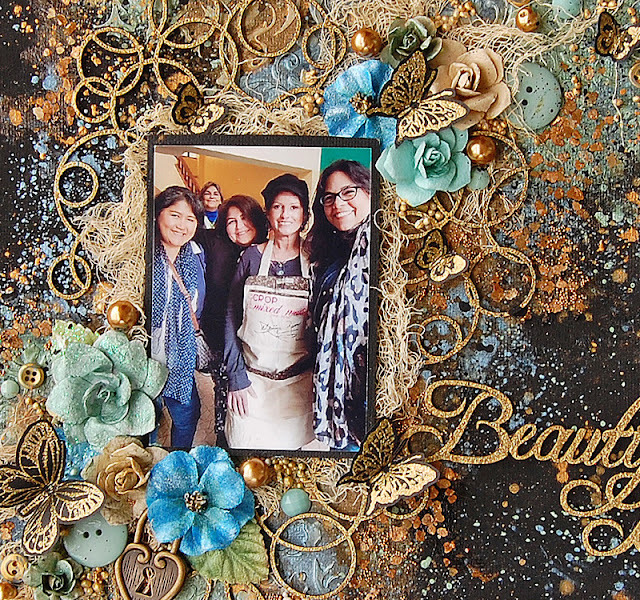 I used the 14 karat- embossing powder by Blue Fern Studios. Thanks for stopping by...Until next time!! This is so gorgeous, Marilyn!!! 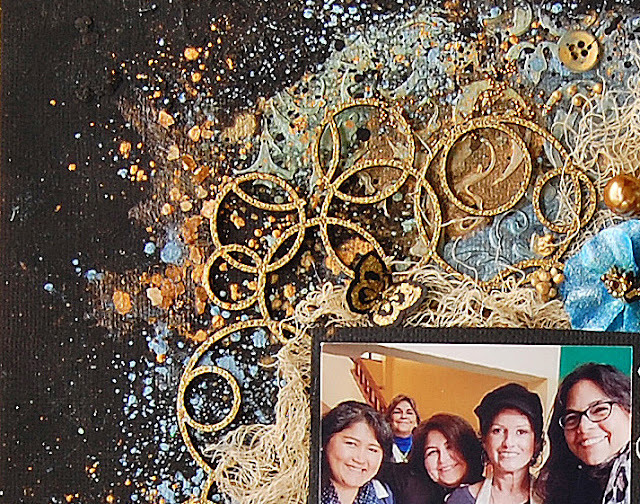 Even though you went out of your comfort zone, you did a fabulous job on the mixed media. Absolutely love this!! Beyond belief, Marilyn. SOOOO gorgeous!!! every creation. Your videos are played here in my craft-room over and over -- and always with such gratitude!.